Dr. Miller is a Fellow of the American Psychological Association (Divisions 12 and 53), Past-President of Division 12’s Section on Clinical Emergencies and Crises, 2007 APA Division 12 Program Chair, past Chair of the International Society for the Improvement and Training of Dialectical Behavior Therapy (ISITDBT), and recipient of the Service Award from ISITDBT. He is an invited member of the International Academy for Suicide Research, a consultant on the FDA’s Suicide Classification Project, and past Associate Editor of Cognitive and Behavioral Practice. 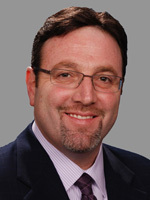 Dr. Miller received his BA from the University of Michigan in Ann Arbor before earning his doctorate in clinical psychology from the Ferkauf Graduate School of Psychology of Yeshiva University in Bronx, NY. He has become internationally known in the areas of adolescent depression and suicidology, non-suicidal self-injury, borderline personality disorder, and DBT. Since 1995, Dr. Miller has directed a clinical-research team adapting DBT for outpatient suicidal multi-problem adolescents, as well as contributing to the adaptation of DBT for other populations and settings. He has received federal, state, and private funding for his research. He has authored over 60 journal articles and book chapters as well as two books, including Dialectical Behavior Therapy with Suicidal Adolescents (2007) and Childhood Maltreatment (2006). Upon invitation by the American Psychological Association, Dr. Miller developed a psychotherapy training video titled, DBT for Multi-Problem Adolescents (2007). Dr. Miller became a DBT trainer in 1997 and has conducted over 300 lectures and workshops around the world. He is currently the lead trainer and supervisor for the first randomized trial of adolescent DBT which is being conducted in Oslo, Norway. As a clinician, Dr. Miller maintains a private practice in White Plains, NY, and is highly sought after as a practitioner of CBT and DBT with adolescents and adults. His clinical expertise has been highlighted by various popular media outlets such as the New York Times, CNN, CBS TV, Teen People Magazine, and Redbook.